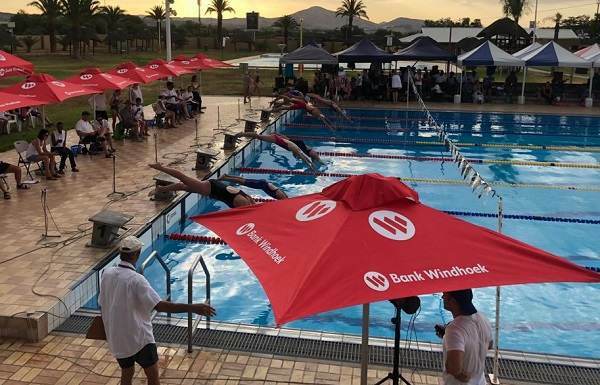 The Olympia municipal swimming pool in Windhoek was a hive of activity this past weekend where some 131 swimmers competed in 46 events across seven age categories in the fourth Bank Windhoek Long Course Gala for the current season. That competition swimming has become a sport only for youngsters is reflected by the results. In addition to the 46 events for young swimmers, there was only one for swimmers between 19 and 21, and two events for all other swimmers older than 25. This confirms the trend that adult swimmers move on to open-water events and triathlons. Marlins has now established itself as the club for old people with seven of the eleven master entries, all coming from this club. With the swimming season now past its midpoint, expectations are that it will be a disappointing season, with very few of the winning times, coming close to Namibian records. Nowhere on the horizon to date, is for example, a replacement for swimmers like Lushano Lamprecht whose many records are still more than a minute ahead of current best times. Dolphins completely dominated the results mostly as a result of their overpowering numbers. Dolphins entered 79 young swimmers, with Aqua Swimming & Fitness second at 29, and former stallwarts like Namib Swimming Academy only managing to scrape 12 swimmers together. The once dominant Marlins has been relegated to the backbenches as far as youth swimming is concerned. They managed to field only two young swimmers. Notable performances among the more senior swimmers came from Vicky Botha who dominated the 17 and 18 age bracket with seven wins. Among the boys aged 17 and 18, Bjorn Prollius is the star to watch, having collected five wins. Slightly younger in the 15 to 16 age bracket for girls, Heleni Stergiadis is the rising star. She scored seven wins. 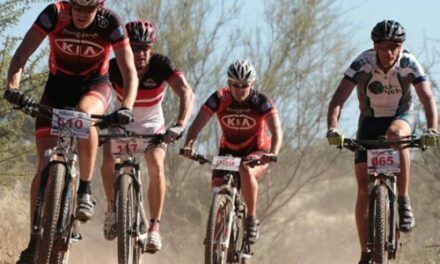 Among the boys in the same age group, Matthew Gertze drew attention with his four wins. In the younger groups, two girls stood out. Trisha Mutumbulua scored eight wins and Ariana Naukosho clocked an unbelievable ten wins. Acknowledging the fact that gala swimming has disappeared as an adult sport, Nicky McNamara of the Namibian Swimming Union said they would like to encourage all adult swimmers to compete in future galas to encourage swimming as a sport well beyond school years and to promote it as part of a healthy adult lifestyle. The 2019 Long Course national championship is scheduled for 21 to 24 February at the Olympia swimming pool.